In response to the opening of a great portal, recently, an immense amount of Light outpoured over the Earth, triggering a series of small events still not perceived by humanity due to the particularity of them. These small events were triggered within your media that were invaded by the Light and the representatives of these large corporations are now in a great dilemma: to continue with the censorship imposed by the dark ones, who no longer has the authority of before any more or start in small steps, transmissions that will begin to alert the public about what is happening on Mother Earth and on the Solar System. It is known by many that Earth’s ascension will bring other great effects on the entire Universe. You, the souls that are there, were conducted by armies of warring angels that led you to show you what you would have to develop on Earth. So, you have landed 26,000 years driven by this Legion of blessed beings. Now, my dear ones, that the task is being completed with great merits, you will have all your memories established, little by little and you’ll see and recognize as indeed you are. Allow, in this moment, that this Light anchor into your heart, thus causing the expansion of consciousness in order to lead you to the Akashic records hall. Amidst this storm of light, storms that are just the beginning of the great wave of light and love that will bathe the entire Earth in the very near future, this will raise the veil completely and it will give you the key to time and space. Before all this imminent, focus even more your energies of Light to the mainstream media which is at a standstill due to the fear of exposing the truth that was kept from the people for thousands of years. Send your torpedoes of Light, dear ones, trust that they will achieve in full the great communicators. From the Queen’s House the first information can comes, in domino effect. It will begin to bring in concrete and tangible way, as say those who are the neediest of material evidence, the scrolls that will be rolled before mankind. Dear ones, also consider that these beings, most of them, who are responsible by media communications are just puppets that were used in extremely inhumane manner when they had their programmed minds so they couldn’t waver in settled planes from the dark ones. Allow your hearts to be filled with love and send your light torpedoes them all in order to break all psychics barriers that imprison them, preventing them from coming with the truth about the facts on Mother Earth and on the Universe. The Solar System is expanding and there are many portals opening now in all parts of the Earth to carry powerful beings from other Universes that by free choice wanted to come to Earth and give their contributions in love at this point that all Cosmos is going by. It is a time of expansion, expansion of love in all levels of existence. You, dear beings, blessed by this moment and by allowing yourselves to be the drivers of this wonderful light that is bathing the Earth at this time. Remember that only love can bring you back home, only love will lead you in the enlightened way and without hesitation. Also remember the forgiveness. Remember that being of pure love when he was in your midst was a great example of that (Jesus). He, in his loving majesty, taught you forgiveness and love by all, leading you to redemption by the noble and powerful gesture of love and forgiveness. Allow the old energies go, let forgiveness comes to your hearts. Oh, dear ones, you are such powerful beings and your concentration on the Divine Power would take you away from any uncomfortable situation, even that ones by thinking that you can not forgive others for some offense. Dear ones, I am very grateful by once again talk to you and give you my love and gratitude for the work done by all. Do not feel incapable, do not feel inferior, do not feel different from us in any way or feel that it’s difficult to contact us. You were recently informed by Ashtar that you’d be contacted and this is happening, although many may doubt this, know that it’s true because you can feel our presence around to hug you constantly. By opening your hearts to it, indeed, you’ll be able to experience things even greater, worthy of what you really are and deserve. 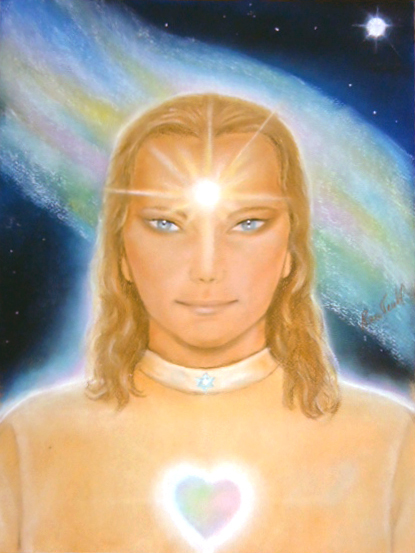 I am SaLuSa from Sirius and among the Pleiadian fleet that assists Mother Earth and sends love and light to allied friends that are on her, I also send my blessings on behalf of the whole body of beings who wish to see the ascension of Gaia and of all Universe in peaceful and harmonious way. Gabriel – Gratitude, dear SaLuSa! Translation: Sementes das Estrelas / Carolina Barisch. Signs are given, all the time, that the new is taking place and you who are on Earth at this time, are witnessing the birth of the new, right under your feet. You are at the vanguard, leading the Light and guiding as you can, knowing that you are always bathed by new energies that, day after day, have accelerated your awakening. Thousands of human beings, taken by desire for freedom, are being assisted by higher beings who are constantly orienting and guiding them in better decisions among protests worldwide. Your communication media have tried at all costs to welch the minds of men who are still in a soft impasse, but it’s known that the light that is sweeping the Earth is to guide them increasingly and nothing can change the focus of the souls of the Earth, the focus of FREEDOM . The commitment of warrior souls, as Snowden, is one more gas on other souls who are awakening now and see the courage and determination of beings who came to Earth at this time to bring freedom, even if it costs their lives. All beloved beings who came to this quadrant in the past and were killed by the darkness forces are again involved now, giving their share of help, help that has brought from deep sleep many asleep beings. The work is far greater than you can imagine and dear souls engaged themselves to take on this role, under the risk of deviating themselves from the path, but you will be able to see that many of them got successful and you may see it in their actions hereafter. Mother Earth is surrounded by thousands of galactic fleets that are here to witness the great jump in consciousness. Thousands of beings everywhere are here to support you during this period, and is given to every soul of Earth one more force so they can untie the ending nodes that still keeps you stuck on Earth. Continue to anchor Light in your hearts, supporting the souls that are in their awakening process. Wait and let them stand up with their own forces, however remain beside them, donating all Light and support in this important moment. The Return of the Goddess to your hearts also bring an immense light that soften every load that was placed in your being by the dark Ones. The Light of the Goddess will guide you definitely out of the quarantine regime, leading you to a state of deep peace. I am SaLuSa from Sirius and the count at “zero” indicates that the planned events before the World Games are about to start and you can have a blurb with manifestations around the world, where the power of people is growing, moving the energies of freedom and justice. Gabriel : Thank you, SaLuSa. Gabriel: SaLuSa why do I feel that you are choosing to stay silent more than normal , in my opinion? SaLuSa: There are many things that are going on at this time on Mother Earth and beyond her. We are at a critical moment, where very serious and important decisions are being taken. Mankind has reached its most important moment during all this path and it asks a little more of our attention. Many souls, at these time, are ready for the big jump forward, and they know they can’t take with them nothing more but their momentum conquered in Mother Earth , which is patience and love. They are showing the way for other souls who begin their path back home . It is a blessed path and the momentum generated by the missionary has enabled us to get closer to all. Every being that vibrates in Light and Love opens an unquestionable powerful vibrational field that attracts and raises the souls around them, as even changes the landscape around, giving an air of gentleness and peace. Dear ones, to remain in a state of love and inner peace you enable that other souls achieve your way, you show them the door to be opened in the midst of so many others that are shown as true and that they are nothing more than illusions. Many of you are now particularly being brought into a reflection state of where all you have stored inside you is becoming increasingly clear to you. Even if it causes you any pain, trust that it’s for your good, and you are being cleansed and freed completely. How you are accustomed to say, one small dirt under the carpet doesn’t hurt but nowadays , nothing will stay hidden, everything will be exposed and everyone will know. The law is very clear and the New Age will bring the truth in a hoisted flag on a tall mast and the new energies are caring to take away and expose the dirt under the carpet so it be viewed and cleaned, even if those responsible for it are struggling to try to prevent it to become exposed. During this process it’s not given to us much to interfere. Yes, we are connected with you at all times by a thousandth of thought, but we look at you and cheer for you can lovingly understand what ‘s going on with you now. Not only you who are experiencing this new pulsating energy in the universe. We here in the position we ‘re also are going through a process, each within their framework. The population of Earth is safe in internal level and 70% of people already accept us as their family and that we come in peace. But this is still something to be worked with care. Many who believe they are ready to contact us yet need to cauterize some interior issues for the idea of contact be purely implanted and this doesn’t bring fear at the opportune moment. In these times, everyone goes through hard times and even those already experienced with these energies feel the vibrate and rattle inside. It ‘s common to see many beings that were apparently balanced jumping forward in an uncontrolled frenzy. Consider that each one is in their special time and that no soul will stop being affected by the wave of change that is sweeping all at internal level and calling them to a state of liberation from the old ways. The security we have that everything is going well is what animates us and makes us very happy at this crucial moment which you are all going through. Although your mind all the time tries to prove that nothing is happening, you are sure that there is something very big to be moved and the curtains are about to be raised. During this process it’s inevitable to encounter an internal conflict in which your Divine Self, like a butterfly going out of the cocoon to fly, is showing that it’s stronger and that is to win the battle. Naturally breaking the rind can be painful, but nothing compared to the feeling of freedom that you are beginning to experience. Many of you, as Lightworkers, are in fact frightened by the energy movement and how they are shaping the new reality. It is indeed essential to to take care of your wellbeing and take a rest as possible, reflecting and greeting the new energy that is constantly bathe you, taking you to a new world that is being born underneath the curtains. When they are lifted, you shall be amazed and grateful that we alerted you all about everything that was being prepared. The news that you are seeing are just the beginning of changes in Mother Earth who is preparing for the population for the new that will rises. Her children need to be ready for that when they are called to take action, be secure and confident. So please remain calm and allow this energy wave do the cleaning that has to be taken, even if it’s a bit painful for you. In the end, everything is for your highest good. Harmonize yourself, dear ones. Feel the new that is emerging and that is to lift those that have been determined so far, sustaining Faith in the Creator and supporting what you SELF was dictating internally, secure and peaceful, knowing that the love of God is certainly moving you to a new sphere, this one that can already be felt and even touched by those who are more connected with their Higher SELF, because love is so present on Earth today that can be even touched. I am SaLuSa from Sirius and very touched by this moment, I am giving my hug in each of this now, as a spokesman of the Galactic Federation, I greet you all and I confess that I am very, very pleased with the possibility of a brief exhibition. Gabriel: I am very grateful, dear SaLuSa. SaLuSa: “Hope is the last one to die”, you usually say this beautiful phrase sometimes.Oh yes, dear ones, you are beings of wonderful energy, full of Hope and Faith And Faith inside you never dies, because you are moved by the power of your I AM. So, you are all the time being tested in situations where your Faith in God is ridiculed by those who own independent opinions. Even that such situations one time or another try to bring you down, you persist in unshakable Faith, knowing that it will bring your success in a not too far future. The Faith is your fuel that doesn’t let you fall in dismay. The Faith is what allows the smile on your face and joy in your hearts. Beloved, being remained firm until this moment demonstrates thissecurity that thrills to any being. May always follow the direct impulse of your heart, respecting your brothers who don’t listen to the same music as you, knowing that each one have their time and that, in the end, internally, all souls hear the same melody and sooner or later, end giving up into love. Your path is now being written by your own Intenal Christ residing in you. He is preparing the way, the way of a return to your natural state, sublime and perfect, dispelling the ideas of inferiority that has long echoed by means of distorted teachings . Well, dear ones, it is known by you that there are numerous information sources coming from different places, as well as there is in them opportunities for exercising your inner discernment, to know that everything has a divine purpose. There are various information, yes, and you may filter them with your heart, always following the generated impulse by it to point out which way you shall go. Believe what it tells you, because it tells you indeed will be the Truth actually . It is also known that there are forces among you who work to confuse you, and often try to impersonate by us, giving messages that cause confusion and fear. Dear ones, there is no other way to know if are us from the Galactic Federation who are talking to you or if are beings who try to look like us, or even if this information is just coming from the writer’s mind, and if not, more instead, only through your heart that you can identify it all. In the end, my dear brothers, all is in of the greater Plan, sooner or later and you’ll know that it was a great learning experience for you and for us. So the Supreme Love of Cosmos involves you at this time, increasing your Faith and security in what you know, internally, the Truth is. All souls on Earth are ready for the great moment, regardless of which step they are now, because the brightness of the light will reach the most remote corner and there shall be light. I am SaLuSa from Sirius and we are just waiting for the Creator’s authorization so we can begin another stage of the planes determined by Him and put in motion, together with the Ascended Masters, and we, in communion with you. There is much work to be done and this first is to be developed in your consciousness so that you may be able for the next. Be in peace,Be in the light. Gabriel : Thank you, dear SaLuSa. There are so many questions within your mind right now, and we know you wish them to be answered. The answers are already in your heart Dear Ones, all of them, and the moment when you will clearly hear them is quickly approaching with your finishing change. Remember no one can provide answers for you, we all can only show you the way that leads to this knowing, because it is always you who decide when is the perfect moment for receiving the answer and with acceptance of that experience of knowing you gain the most from the understanding that is there, hidden within each experience. So when you still feel that your mind is occupied with so many questions, simply ask yourself what do you need to do to be ready, to be prepared to move into the New and with certainty the answer will come and leave you with no doubts about what should be done. At that moment of your own realization, most of the answers will be revealed through your heart, and you will be no longer held back and when you decide to finish all that is necessary, it is always upon your free will choice. The experience of free will is maybe one of the last issues that your need to fully understand, and understanding always comes when you completely accept this experience as the one that is carrying valuable wisdom for you and do not deny it for one, two or thousands reasons that could be attached to it, depending on your current mood, situation or on any other matter that influence your state of mind. But once you have found out that acceptance of each lesson is giving you the strength to forgive, forget and let go, there is no reason why you should wait any longer to do the same with all experiences that might still hold the wisdom inside, including the free will. This choice of experiencing free will was among the main reasons for your decision to be incarnated here on Mother Earth as most of you wished to understand everything that is connected with it. Throughout your awakening process, many of you saw and felt energy of some of your prior life experiences, and these were all shown to you to accept them as they were without feeling of hate, shame, guilt or judgment for yourself or the others involved. And this is what you should do also with your current life experience, because now the lesson of free will choice is intensified to its maximum potential of learning for all of you. Are you ready to accept it and move into the New and when your answer is YES, we are ready too. I am SaLuSa from Sirius and I feel how you all are moving into that acceptance and understanding of this lesson. Remember no guilt or shame exists where Love and Light is present, there is only understanding of each other being expressions of Creation with the right to choose which way to follow. Those who chose to close their experiences of free will and duality choices have already accepted this lesson while reading this message and are ready to receive the wisdom that will carry them into the reality where there is only one choice to follow. Do you feel our call Dear Ones, the call that we are sending out within our energy to help you finish your transformation and reach the higher reality of your choice. You might feel as being physically lifted, especially when falling asleep when you are fully relaxed and your mind is completely quiet, that means that you, as consciousness within your current form, are ready for the movement, but your bodies need the change to be fully completed as you will be returning to them with much higher frequencies. Feel how the energy of your higher reality is intensifying within you and your body is able to receive more and more as the change is being finished. Intensity of this feeling is in great alignment with your choice and desire to be connected with us, as your family and all that you perceive as your higher reality, and you might be surprised of the power of your own intention and wish. These moments are here for you to perfectly align with all higher energies that flowing within and around you, and the Angelic Realm is so very close to you now as never before, because they are helping to all of you, according your wish, to reach the door that are already open for you to step into the next experience. You can see their signs everywhere and you can feel their energy gently surrounding you all the time, leaving the usual worries behind and giving you more energy to focus on all that is now important. Importance of some things is clearly visible to you, and all of you that chose to move further are not able to ignore them, as the energy that you all now immersed in is very powerful and literally pushing you into the perfect point from where you can complete all that is necessary to complete prior your final upliftment. You all will be amazed by the power that the final phase of your transformation will carry, and we know that you already sense something great and never before experienced is “in the air”. Accept and surrender into this knowing and feel the movement higher, on the wings that your own energy have created for you to be able to exist again within pure Love and Light. Even your physical body starts to feel lighter with no evidence of weight loss and that is because you do not have to carry all the previously unresolved issues anymore within your being. You are truly being uplifted and sometimes might get the feeling of your feet not touching the ground. Enjoy every single experience that you are now getting through because you will remember them for very long time. I am SaLuSa from Sirius and we all are enjoying the feeling that your fulfillment of your wishes is creating, and we are endlessly happy to be part of them. 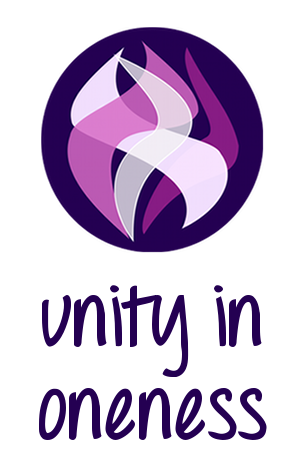 Together we are creating powerful alliance of Love and Light to be spread into the whole Universe and helping to uplift every single Soul within. Energy is rising on each level of existence – in the core of your planet, on the surface, within you and all the life forms coexisting together with you and around the planet – and it is creating a perfect condition for the long awaited upliftment as a whole. You surely feel this energy filling your whole body leaving you doubtless that something is happening. This energy might remind you of the feelings you had when you were awakening and the energy started to flow within and started the process of your change. This time, the energy that is flowing into your beings now, is closing your preparations for the movement higher, and you surely feel it as being more delicate and gentle because you are now able to sense and feel so very much more, and this higher vibration that is carrying all that is necessary for finishing your change, have full spectrum of higher energy patterns. These patterns easily enter the bodies of those who are ready to join their multidimensional realities of existence, and they are absorbing complete information within. Those who chose to move with less speed can absorb information one by one until they have received them all and are ready for the change that these energy patterns are enabling you to do. With accepting them as they enter within, you are allowing them to merge with your very cells of your body and completely change them and release all the old energy patterns that once created your physical existence. They are no more needed to be present within your being, as you have worked on your clearing with such determination and intensity, that you have sent this information to the Creation Forces with very strong and clear confirmation of your readiness to step into the higher level of existence. So this energy you now feel is representing your fulfilled wish for your movement, and with understanding the basic principles of life within higher realities, you are ready to follow your desire and complete this part of your journey. The next part of your journey is already in the right place for each and every one of you, and with no more illusion that would block your vision you clearly see it and follow it without any hesitation. Those who cannot see it at this moment of their evolution are getting and will still get all the help from their Guides that will show them their chosen path bit by bit, and even if they choose not to follow this guidance now, they will clearly see the signs when they are ready to leave the current vibration level and step into the next level of experiences. It is with certainty that no Soul will wish to stay on the same level longer than is necessary, because we are all carrying the desire to explore and learn within and when the time comes, every Soul is ready to move after absolving all the necessary experiences and gaining the respective understanding from them. I am SaLuSa from Sirius and feel your energy quickly rising as you feel your wish is about to manifest. Feel the vibrating energy within your bodies and allow it to complete the changes. In no time you will recognize the difference that this energy have created and know that all the surprises that you are expecting to happen will quickly follow. We know that listening to your own heart is getting very comfortable for you, and in spite of some doubts in the beginning, the feeling of trust in these information is growing because every time you searched for some proof of any information received this way, you always got it. It is not that you as eternal Soul would need it, but your mind is requesting evident proof as it was programmed to do so. Your mind is releasing all old patterns that simply cannot keep up with the speed of Light that is circulating within you and flowing through the whole system of your body. Sometimes it might be not so easy to see through this illusion, but your feelings and Love that you are again connected to will not leave you in any doubts about the truth. Truth carries very mixed energy feeling for many of you because so many times you were listening to something that turned out to be the exact opposite. Everyone is carrying the own version of truth, because we see it as complex package of information and experiences and feelings that are guiding us to the fulfillment of our desires. Desire is another word that might create confusion within your changing mind, and we understand it as expression of Soul that is connecting everyone to the needed experiences. We know that your society as it existed for so many centuries tried to push and limit desires of the people, but now you are free to step out of these limits that still exist and let your desires to fully grow and lead you into the truth about self. Knowing the truth about self is creating more power within and giving you so many different possibilities and showing you which one to choose, that would make your journey and learning complete. And please remember no one else can let you know the truth but yourself, as all the information have to resonate with you in order to become truth. On the other hand, if some information do not resonate perfectly with you and someone is telling you that they feel it is the truth, there is no reason for doubts as they are representing the truth for them and guide them into further knowing. This time of your year was usually time when you started thinking of others with more loving way and you experienced less stressful moments until you again started new year with hopes and wishes that slowly vanished as the year passed by. This end of the year for many of you will not be the same, and we know that you already feel it. There is no desire within you to give usual gifts and to expect such gifts in return. You have realized that the greatest gift you can give to all of your current family members and all others is your Love, unconditionally flowing to their hearts and helping them on their own way. Many of you feel that there is no longer the need existing to attach to the old way of celebrating Light being present within and around you. Those who are ready will celebrate and express thanks in the new way with stepping into their higher realities and with sending even more Love to all that are ready to receive it, and they will open many more possibilities for others to choose from. With these possibilities present within collective mind of all Humanity, those who will awaken or will finish their process of awakening, later in your time, will choose for them the best way and add their own desires to it according their life purpose so everyone will experience a unique way of ascension. All will feel very strong guiding power within that will direct them into fulfillment of their own choices and desires. There will be no need to follow others until this would be their choice of experience, and all people will feel immense power that the freedom will carry, and it will bring that great understanding that no one else is responsible for life experiences but the oneself, and the blame put on others will no longer be present and no longer will create hate and anger between people. Harmony and peace will prevail within and also on the outside world that will be pulled into the collective experience of higher reality with the strong will of all Humanity. This process of collective change requires some of your time as you already know, yet all the necessary changes begun many years ago, and they are now being sped up due to your increased power of your wish to see the world, that gave you so many precious experiences that were turned to the wisdom, being free and balanced and united. With your own upliftment, others can find their path and their own way easily, as the energy of Love is creating that needed attraction towards that what is being searched for, the same way as you are attracted to all higher energies. It is the Creator’s wish to experience such powerful change within this world and following change of all the greater parts of the whole creation that we all exist in. Remember that you are part of the Creator, and you carry this wish within and give it your own desire and choice that is equal to your free will and create the path which will lead you to the experience of ultimate Oneness with the Creation Force. I am SaLuSa from Sirius and I wish that you realize the power of your choice to share the Love with all others. You can lift them from their own creation of suffering just with smile or loving thoughts or words you are sending towards them. You will not help them being attached to their own feelings, but you will help them with feeling of Love that is present all around because you cannot save them, it is upon themselves to find their own way and place within All That Is. Are you ready to be immersed into deeper feeling of Love that will immediately surround your being when you step into your higher reality. This Love energy is changing you now, and the more you let it in the more you will be attracted to your new experiences. Letting in Love means to look at yourself the way you truly are and accept all that is creating whole being with understanding that the love for yourself and others is giving you. Every part of your body, every memory and thought are creating unity with your Soul, your consciousness that have wished for the physical form and situations to experience during this life to perfectly lead you into the point of where you are now. This Love is giving you deeper insight of your experiences and gaining more wisdom of them and when this understanding comes, you can let the though experiences with corresponding memories and thoughts let go and free yourself completely for The New. Feel how the energy of the word “New” resonates within you. Many of you have experienced higher realities before, but never experienced or never attached your consciousness to this kind of Ascension, so you all feel immense attraction towards living it all through. Everything new is always creating such attraction for all of us, as we know that it always brings us more wisdom and knowing that we would not reach without deeply and completely experience our choices. These last moments of living only within old reality are here for you to do this and ponder on those choices that are still somehow holding on within your mind and finally let them go with great understanding that you are now all capable of. Sense the freedom that is following closely after, and we know that you no longer will save this work for later time. We know that lower vibration experiences are sometimes very harsh and have created strong feelings of sadness and many other feelings that are denying presence of Love, but we are always with you and sending you so very much Love to make you even stronger for turning all of your experiences into wisdom. With your final clearing also Mother Earth is ready to let go of the lower vibration energy from her body and this way she will greatly support your movement in your higher reality. She also feels the energy rising from within and it is being experienced on the surface, and we see her body glowing with wonderful pure Light of your joined Love. Feel the Oneness with her, because she will be part of your reality until you all will feel it is time for you to move somewhere else and for her to welcome other Souls for shared new experiences. I am SaLuSa from Sirius and wish that you all experience peaceful state of mind, because your heart is now speaking to all of you and is giving you the needed information for your movement higher. Do ask your heart because it is the best source of answers, as there is everything you need to know at this moment, and the amount of information is rapidly increasing so perfectly aligned with the speed that you walk or run towards The New.